I love Kellogg's cereals, So I was excited to take the Kellogg's All Bran 5 day Challenge. As a busy working mother of two boys, I'm always on the go and I will often eat what I can get my hands on, often bread based products which can leave me quite bloated and heavy. 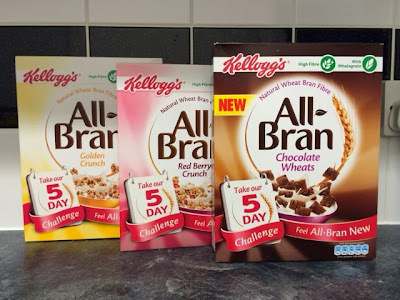 I immediately signed up to Kellogg's 5 Day Challenge, I was really curious to see how the 5 a day challenge could help improve my health and diet. 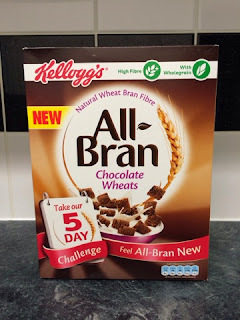 Each day I received an email from the All Bran Challenge, I could quickly and simply track how my tummy felt and I was given some amazing tailored hints,tips and recipe ideas to kick start me in the right direction. 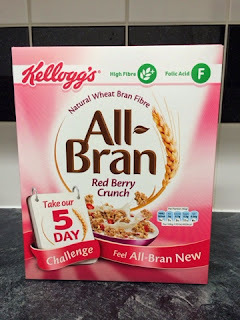 Eating Kellogg's All Bran for 5 days was very easy, The Kellogg's All Bran Cereals available are extremely tasty, I must say that taking the 5 Day Challenge defiantly made me so much more aware of my eating habits, and I realised prior to this Challenge I was defiantly not taking in enough fibre. As the days progressed I could feel that my tummy began to feel less bloated, I also implemented some other recommended high fibre foods into my diet. After taking the challenge I did feel much better within myself. By increasing my fibre intake it has defiantly had a positive affect on my general well being. I feel less sluggish and bloated, almost a lighter me, which makes general activities easier to carry out giving me much more energy. 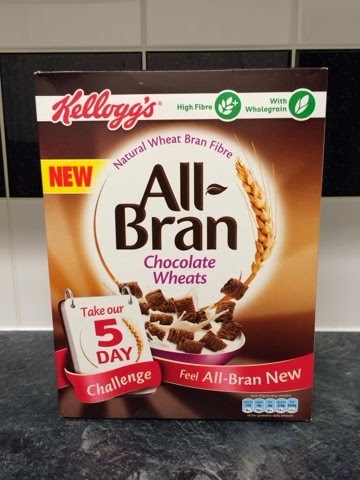 Kellogg's All Bran is a fantastic way to get my fibre into my diet and the 5 Day Challenge has defiantly made more more conscious of my digestive health. 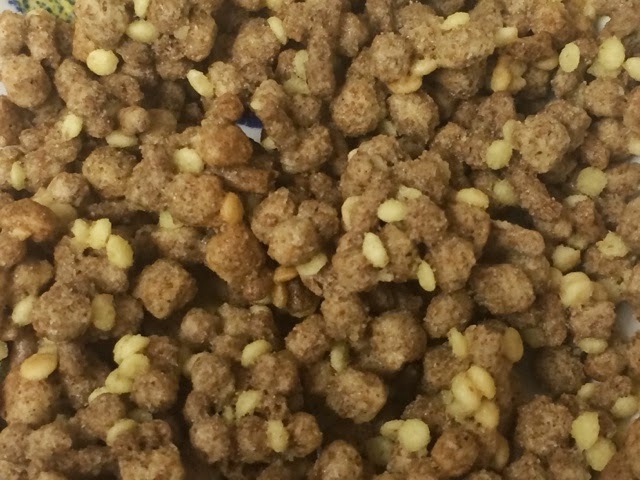 Kellogg's All Bran Golden Crunch - A yummy crunchy cereal consisting a tasty multi grain clusters, I really enjoyed these crunchy clusters every bite was delicious, with a slight sweetish taste which was amazing with ice cold milk. 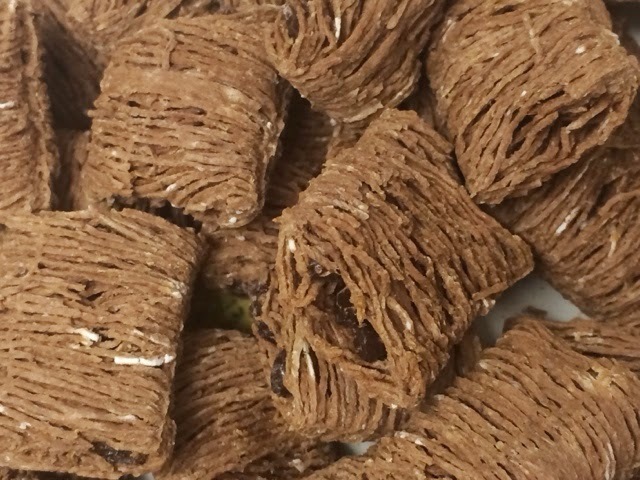 Kellogg's All Bran Chocolate Wheats - A super tasty chocolaty cereal made with natural shredded whole wheat bran. 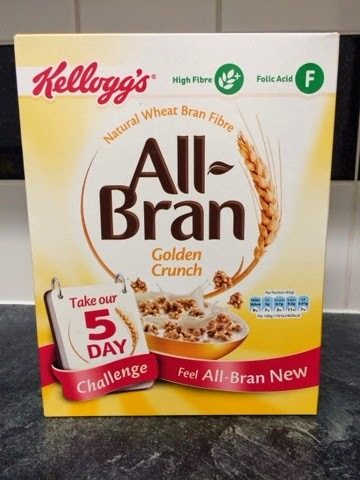 This has to be one of my favourite All Bran cereals. each little square desolved into my hot milk and very moreish chocolaty taste. 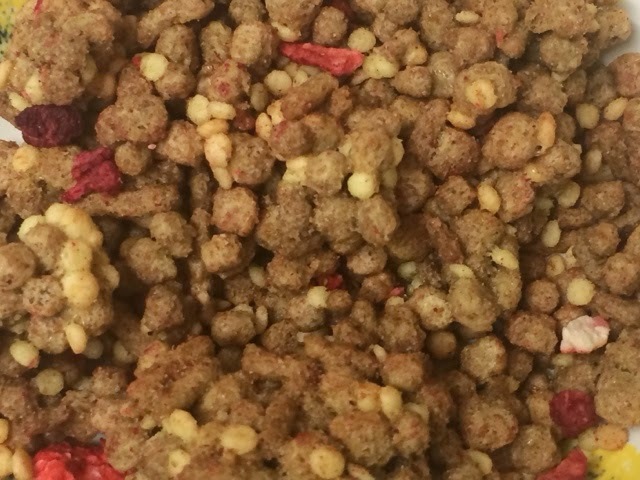 Kellogg's All Bran Red Berry Crunch - crunchy multi grain clusters with a dried berries, a delicious way to start the day. I really loved the dried red berry mixed in the crunchy clusters.